This Pacific Play Tents Safari Tent and Tunnel is a great deal on Amazon at $57.39 Shipped. List price is $69.95. Kids love play tents! 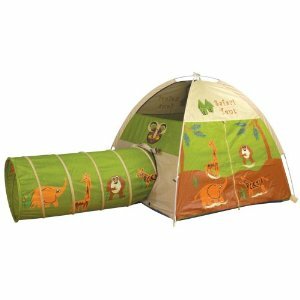 This will give them many hours of fun with this combination of safari play tent and tunnel. It folds for easy storage and comes with a storage bag. HOT: Free 12-Count Box of Cafe Escapes Hot Cocoa K-Cups!